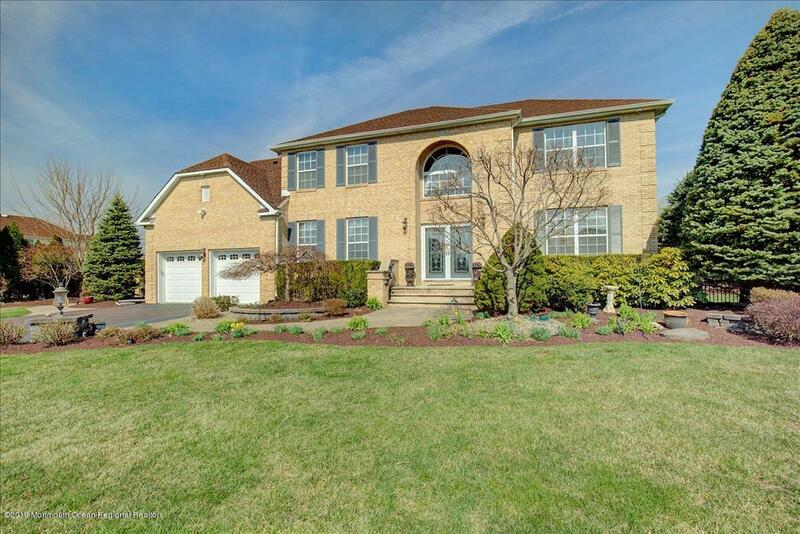 Gorgeous brick-front colonial in beautiful Oakley Meadows! Commanding TWO STORY ENTRY leads to separate dining room and library/living room with CUSTOM BUILT-INS!. Kitchen connected to Family room means tons of family and entertaining space! Enjoy the Wood-burning FIREPLACE! Beautiful 4 SEASON SUNROOM leads to magnificent backyard oasis. Built-in pool w/ INTEGRATED spa, OUTDOOR KITCHEN w/ grill, refrigerator, granite counter/seating area and hidden trashcan. The Koi pond and a secluded lounge area can't be beat! Private master bedroom with BRAND NEW ENSUITE spa-like bathroom. Fabulous FINISHED basement with bath and BONUS ROOM completes this beauty!